The blood parasites that infect songbirds with avian malaria are far more diverse in Southwest Michigan than scientists knew, raising troubling questions about the spread of the disease and its impact on dozens of species of birds in the Great Lakes region. “Parasitism is a widely occurring interaction that drives ecological and evolutionary processes and has profound impacts on biological systems,” according to a newly published study by scientists at Western Michigan University. And climate change could worsen the problem, said the researchers who tested 726 songbirds from dozens of species. “As global temperatures continue to rise, the Great Lakes Basin will be of importance to malaria distribution as many vector species shift or extend their regions,” the study said. The region has more than 20,000 inland lakes, roughly 30,000 miles of flowing water, many wetlands and more than 400 species of migratory and resident birds. Avian malaria can’t infect people or other mammals, according to biologist Maarten Vonhof at Western Michigan’s Institute of the Environment and Sustainability, but it can kill birds and harm their ability to reproduce. “None of us like to think about parasitism or disease, but parasites have a huge impact on the lives of organisms, including humans,” he said. The project targeted 11 common species such as American goldfinches, black-capped chickadees, northern cardinals and yellow warblers. But members of 44 other species were also tested, including barn sparrows and red-winged blackbirds. 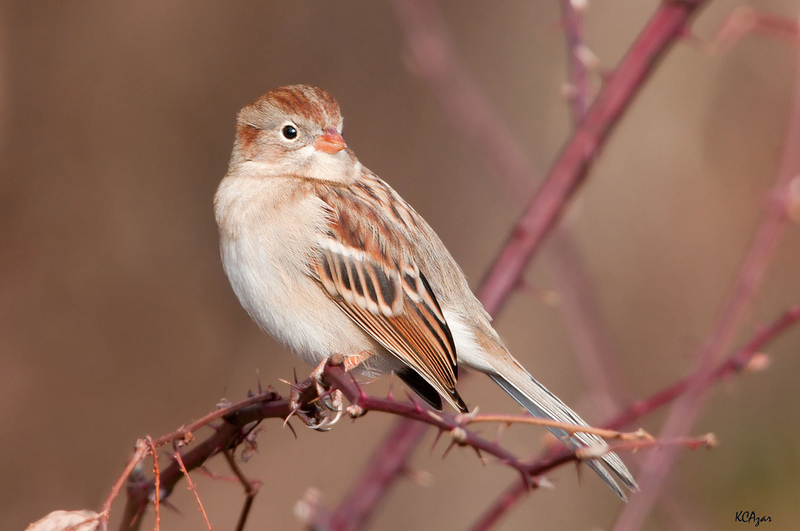 None of the birds are endangered or threatened in Michigan but one species, the field sparrow, is in steep decline. The North American Breeding Bird Survey estimated a 69 percent decline in field sparrows from 1966 to 2015. The team netted the birds, then banded, screened and released them in 12 Southwest Michigan counties. More than 40 percent of the tested birds had the parasites, the study said. The scientists found 71 kinds – lineages — of parasites, 42 of them previously unknown to science, Vonhof said. “There’s all this undiscovered parasite diversity we were simply unaware of,” he said. The Midwest diversity of avian blood parasites is likely much higher, the study said. The avian malaria study is part of broader research at Western Michigan on how human activities influence the interrelationship of species, Vonhof said. Another piece of that research, led by graduate student and lead author Jamie Smith, examines the impact of urbanization on avian malaria. “Birds in urban environments have a lower prevalence of avian malaria,” Vonhof said. One reason may be that development eliminates wetlands and other habitats where mosquitoes breed.